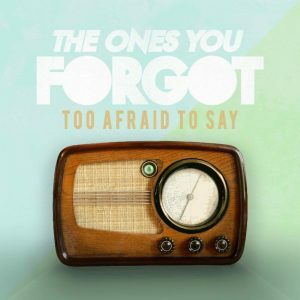 The Ones You Forgot: "It’s okay to be scared"
The Ones You Forgot is a pop rock band from Brick, NJ that was formed in 2014 after long-time friends and guitarists Ferdinand Benauro and Matt Thompson noticed remarkable covers on Instagram from vocalist Jenna Bruno. When the three had the chance to play together, they realized they were in the perfect spot to start a band and rounded out the group with the addition of Justin Rodman on drums and Lance Nelson on bass. The Ones Your Forgot kicked off their debut release the following year with Peaks & Valleys; however, it wasn’t until their “Make It Out Alive” single release in late 2016 that solidified their sound and structure. They told us a little bit about their band! Hi guys, it’s a pleasure interview you! Lets start! I’ve listened to your new EP, Too Afraid To Say, and it’s amazing. I really love that album. Talking about it, why did you choose this title? Jenna: ‘Too Afraid To Say’ got its name in the simplest of ways. All the songs on the record encompass a different fear of mine, and they were often fears I found myself struggling to talk about. I feel like the record emphasizes that it’s okay to be scared, and that we all find different ways to overcome it. Which is your favorite song from this album? And Why? Justin: Here Forever. Jenna wrote these lyrics, but I can relate to what she wrote in every way. This song is about the fear of losing a loved one. When our album came out my step father was very ill with brain cancer. Sadly, he passed away recently, but he loved this song. Every time we play it, he’s the first thought that comes to my mind while I’m in the middle of playing the intro. Jenna: My favorite song is definitely “Here Forever”. I find myself connecting to this song more and more each day, even though it’s been quite some time since i wrote the lyrics. It’s also my favorite to play live! Lance: My personal favorite song off TATS would have to be Everywhere, Everything. I love everything about the song, the chorus especially. The high energy makes it a really fun song to play and listen to, and the song is rooted in anime, so what’s not to like!? Ferd: Here Forever because it’s our catchiest song and one of the most fun to play in my opinion and has a really deep meaning behind. Matt: I would say Here Forever! That song stands out the most to me and I truly feel like it’s something special and meaningful and it’s super catchy and fun to play. Your sound is pretty unique – what inspires you personally? Jenna: Growing up I was constantly inspired by all of the shows I attended and all the bands that I saw. Now my inspiration for music has grown from so much more. I’m inspired by nature, movies, travel, video games, and hearing other people’s experiences and stories. Justin: What inspires me is that we all come from different musical backgrounds. The fact that were all able to create this sound, being that we all listen to different music is pretty incredible. I love our music and the fact that anyone can find a way to relate to it. Matt: Growing up I listened to so many different kinds of music. Slipknot was a band that made me want to play guitar but it wasn’t until later down the road when I discovered bands like the wonder years and a day to remember and going to festivals like warped tour finally made me realize I wanted to play music. So I would say the atmosphere of those shows mixed with the passion for music influenced me to want to play music. Ferd: Growing up I followed a lot of my brother’s footsteps and listened to the same bands as him. He’s pretty much the reason why I started playing guitar. So I guess him and all of the bands he got me into. Oh yeah and my pug. Lance: I first learned to play bass and guitar over 10 years ago, and I never thought I would come even remotely close to where I am now. I used to just play for fun, but now I am really trying to make it into my life. We’ve had a few tastes of what its like to play incredible adrenaline rush shows, travel to play our music, and have our songs help fans through struggles with mental health. These are things I want to be able to do for a long time, especially the last one. What has been the most difficult moment for your band to date? Jenna: In my opinion, probably the release of ‘Too Afraid To Say’. So much went into this record and a lot work of work led us to the release. It was also a very vulnerable time for me, considering the nature of the songs. It wasn’t easy, but at the same time, it was also incredible, and I wouldn’t want it any other way! Justin: The most difficult moment for the band in my eyes recently has been my suffering with mental health. Recently I’ve lost two family members that were very important to me. I gassed myself out working two jobs to try to avoid the pain or any thoughts of knowing the reality of these situations. Over working myself starting creating a lot of anxiety and depression mentally on me. Ive taken many steps backs and have been focusing on making myself better. Day by day, things have started becoming much better! You have opened many popular bands, which was the best for you? Jenna: For me, I would say Boys Like Girls. They were a band I grew up listening to, so it was a total full circle moment, especially since it was the 10-year anniversary for their first record. Justin: My favorite was opening for Boys Like Girls. That was the first time for us playing in front of a sold out crowd. I remember being the first band member on stage sitting behind my drum set watching the curtains rise and seeing a packed room. My stomach dropped but at the same time it was most incredible feeling. Lance: My favorite time opening for a band was when we played with Work in Progress at Starland Ballroom. We made a lot of new fans that night, and it is always such an adrenaline rush playing in front of that many people! Ferd: The best for us I’d have to say when we opened up for Knuckle Puck & Seaway! Do you have any future plans? Are you planning an European tour? TOYF: We have already started writing new material and plan to hit the road a few more times this year. While Europe isn’t on the map yet, we most definitely hope to go there soon! Last question: if you had to describe your band with the name of a drink, what would it be? Matt: I would say Monster because it gives you energy!